How to Recover Deleted Files Even the Recycle Bin Is Emptied? 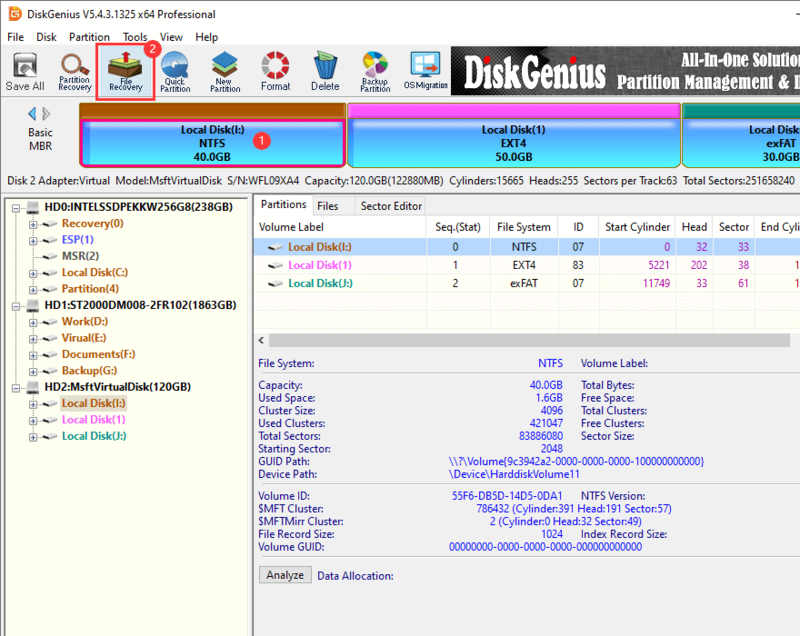 Position: How Tos - Data Recovery - How to Recover Deleted Files? How to recover deleted files? Actually, when you delete some files, these files are not really lost. The file system only removes the entry of these deleted files. Before new data completely overwrites the disk space of the deleted files, you can easily recover the deleted files with data recovery tool. Here are two main solutions to recover deleted files. Just read on and choose the right solution for yourself. In most cases, the deleted files will be moved to the recycle bin. If you realize you have deleted wrong files, just check the recycle bin and find the wanted files if you have not emptied the recycle bin. Then put them back. And you also can recover deleted files from backups if you have regularly backed up your hard disk drive. This is the easiest way to recover deleted files. But, if you have emptied the recycle bin or don't back up the deleted files, you can't recover the deleted files with this solution. Just try the following method. Don't worry. You still have the chance to recover deleted files although you have emptied the recycle bin/don't have backup. Deleted file recovery software is another method to recover deleted files. And it is the simple and efficient way to recover permanently deleted files from emptied recycle bin or other location. Firstly, let's find the high-quality deleted file recovery software, DiskGenius, for example. This award-winning deleted file recovery software is fully capable of recovering deleted files in any situation. Recover permanently deleted files, and directly deleted files. Recover deleted files due to Shift + Delete. Recover deleted files from hard drive, external hard drive, USB flash drive, memory card, digital camera, etc. 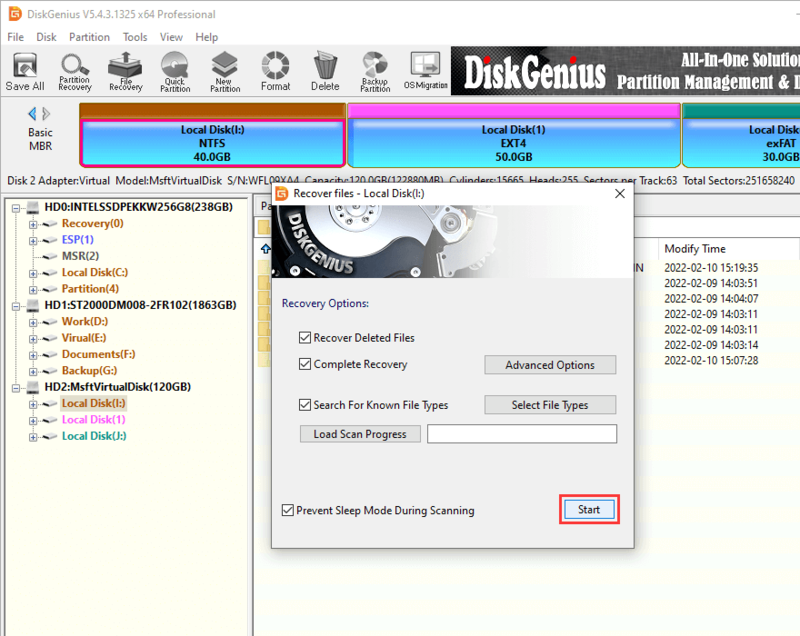 DiskGenius even can help you recover deleted files from already formatted or erased hard drive. It offers deep scan mode to scan the entire hard drive and find all deleted files with ease. Just download and install it on your computer. Step 1 Choose the hard drive where you delete your files and click "File Recovery" button. First of all, open DiskGenius on your computer and choose the hard drive where your deleted files are lost. Then click "File Recovery" button to start data recovery. Step 2 Scan the hard drive to find deleted files. Chose "Recovery Deleted Files" and click "Start" scanning the hard drive to find all deleted files. Step 3 Preview recoverable files after scanning. DiskGenius displays lost files while scanning is ongoing, and you can preview files to check if they are correct. Double-click a file and you can open it in preview window which shows file content in its original size. By way of previewing files, you'll be able to locate what you want to recover and judge whether they can be recovered correctly. Step 4 Copy recovered files. 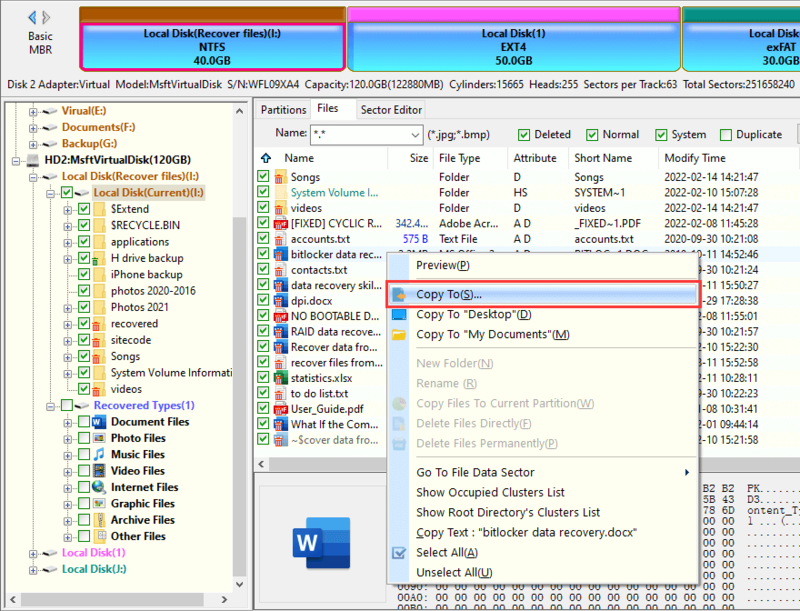 Select files and folders you need and right-click on them to select "Copy To" from context menu. After that, you can set a safe location to save these files. Before recovery of all deleted files, please don't save or put data to the hard drive where you delete your files. It is strongly recommended to perform the deleted file recovery as soon as possible. DiskGenius is very easy-to-use. You can run it to quickly scan your hard drive and completely find all deleted files.